Royal Ascot.Berskhire. England. 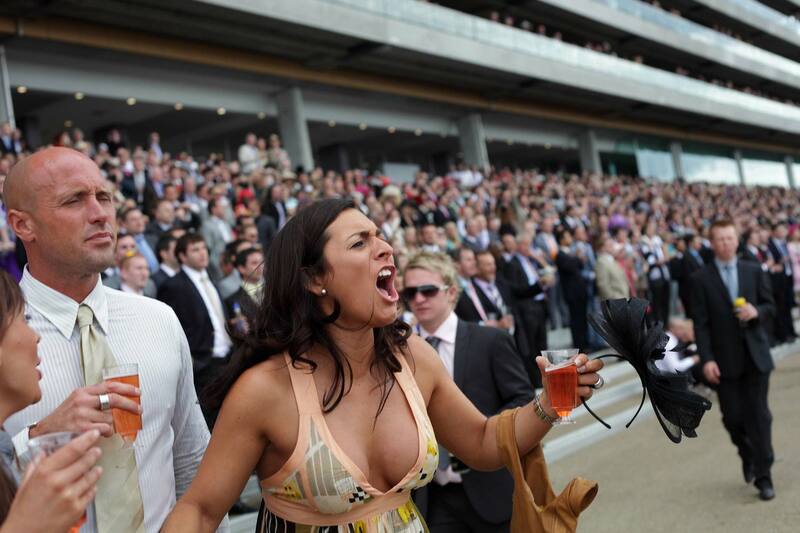 June 2009 Enthusiastic racegoer as the the runners head for the finishing line.